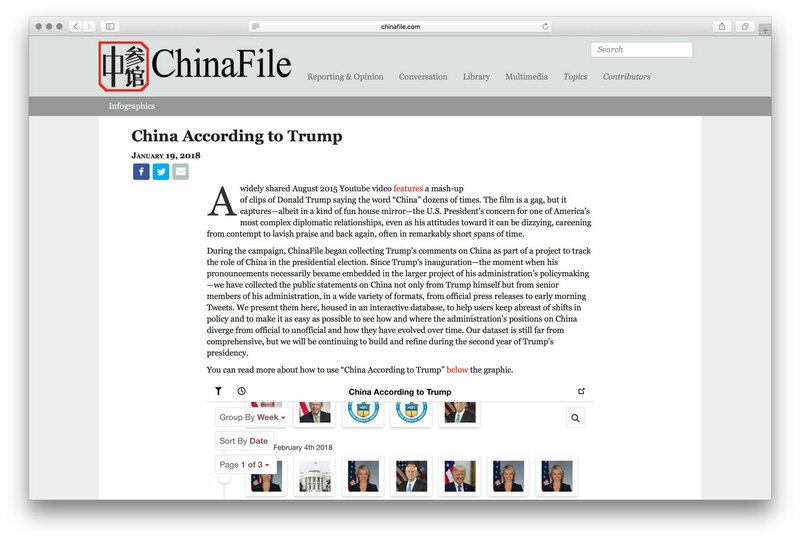 ChinaFile utilized Gist's intuitive platform, to not only build their unique database but also embed it onto their website without losing any of it’s interactive and versatile features. Let’s take a look. The reader can open the visualization full-screen, and switch between two views, Timeline and Gallery. Adding more than one view to your visualization adds depth to your narrative and provides clarity to your data for any reader. 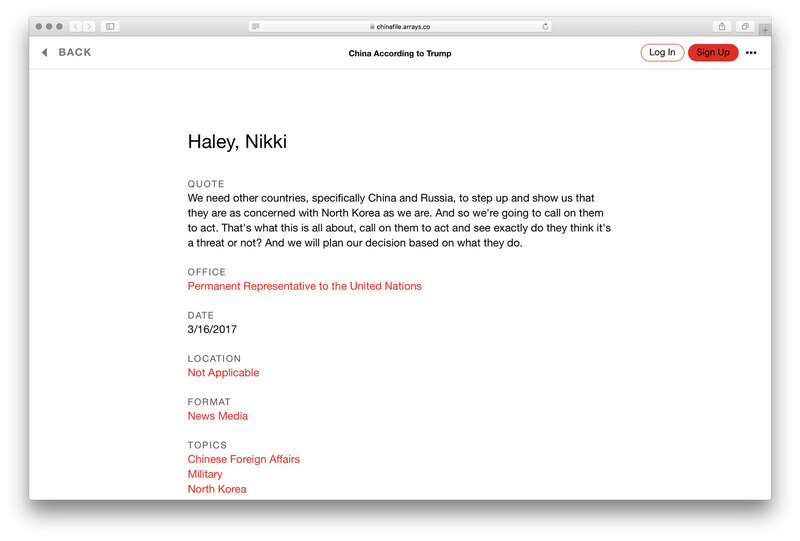 The next example showcases Gist's Detail View. 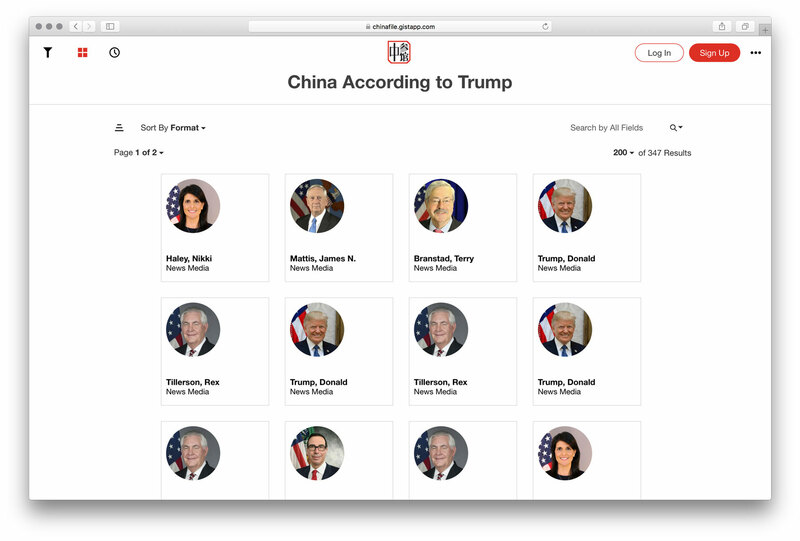 The additional details gives more context and texture to ChinaFile's overall data, which is vital for this specific project. 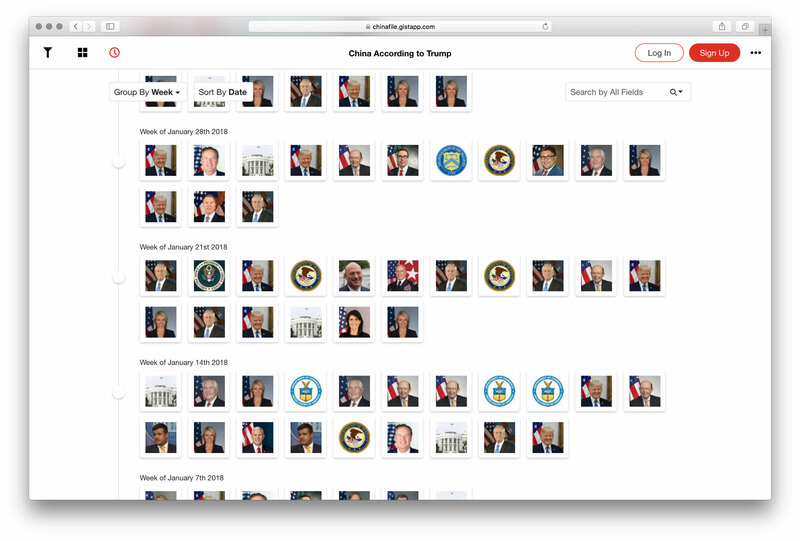 By clicking on any individual image, you can see the details for each member—including their government position, format of the statement, quotation topic and a link to the source. This project is a prime example of the interactive capabilities Gist has to offer. We welcome you to explore the article and begin to imagine how Gist can help you visualize and display your information.